Located at 78°55′30″N 11°55′20″E in Ny-Ålesund, Svalbard, the Station forms part of a unique international research village, providing field support to UK-based and international researchers. 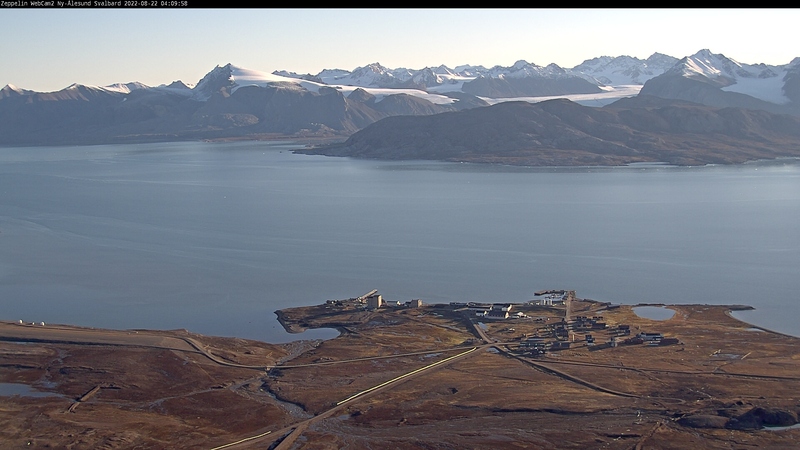 The UK Arctic Research Station, established in 1991 in Ny-Ålesund, is located on the southern shore of Kongsfjord, on the west coast of Spitsbergen, the largest island in the Svalbard archipelago, Kingdom of Norway. The Station has been open since 1991 when it was established and financed by the Natural Environment Research Council (NERC). It is leased from Kings Bay a/s (a Norwegian Company) by NERC and currently delivered and operated by the British Antarctic Survey (BAS), with support from the NERC Arctic Office. It sits as one of fourteen internationally operated stations that form part of this unique northernmost research community. The Station provides excellent facilities and accommodation for researchers from across all UK universities, research institutes and other recognised organisations, and their international collaborators, wanting to carry out a range of environmental research in accordance with the NERC science remit. This includes ecological, glacial/periglacial geomorphology, hydrology and atmospheric chemistry and marine research. Also known as ‘Harland Huset’, the UK Arctic Research Station occupies one of the larger buildings in Ny-Ålesund, comprising of 440m² which includes seven bedrooms, four laboratories, an office, computer space, living and storage space, a garage and a workshop. As a key element of the UK’s Arctic science capacity, the station provides a flexible, safe and well-positioned base, supported by Norwegian hosts. When is the Station open? Typically open from March through to September, the station can also be open earlier or later in accordance with the needs of the researchers. It provides an excellent base with the ability to support both field and marine based research within the Kongsfjord area, and an ideal location for PhD students to gain valuable skills in polar fieldwork techniques. The station has been involved in several EU infrastructure projects, and is currently a partner in the EU funded project INTERACT (International Network for Terrestrial Research and Monitoring in the Arctic). INTERACT is a network of 83 terrestrial field bases in northern Europe, Russia, US, Canada, Iceland, Greenland, the Faroe Islands and Scotland as well as stations in northern alpine areas. As such, the Station is available to non-UK based researchers wishing to apply to carry out research in Ny-Ålesund via the INTERACT Transnational Access scheme.